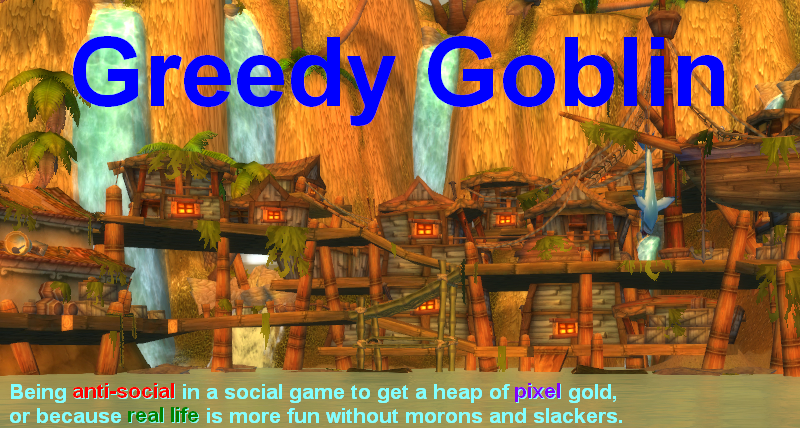 Greedy goblin: PUBG rating system and the folly of "git gud"
PUBG rating system and the folly of "git gud"
At the moment of writing this post, I'm #265 in total ranking with 2078 rating (and #125 in winrate). You can see the at-the-moment ranking here. The rating system isn't just a cosmetic reward. Matchmaking is affected by it, good players are matched against other good ones, so I have to wait until my games fill up, even in prime time. 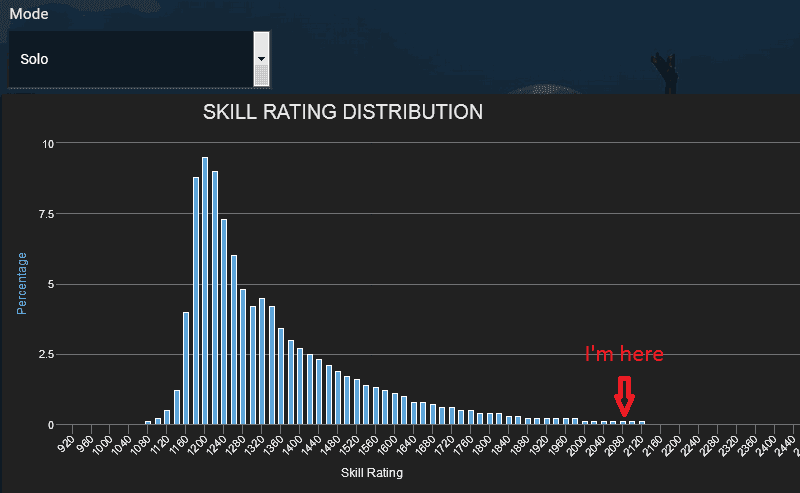 I didn't experience that when I started playing, because it's easy to fill up an 1200 rating match. I also realized how dramatically my opponents changed, which is the point of the post. According to any "git gud" moron, the way to improve in this game (or any other) is to fight a lot, improve one's mechanics, hand-eye-coordination and map awareness. I didn't do any of it as my 0.13 K:D ratio proves. I'm supposed to be at the bottom of this game if it was what the "git gud" morons think it is. But it's a survival game and I'm getting better and better in survival as my ranking proves. Actually, I'm glad I didn't "git gud", because it would hold me back now. The top players play very differently than the average ones. By practicing against baddies, you only pick up bad habits. The more you practice, the more rigid these bad habits will be. I did pick up bad habits during my only week-long stay among the baddies and it's a pain to get rid of them. No matter how much I try to not do them, when I have to make decisions in split-seconds, I still make the old bad decisions and then yell "stupid, stupid, stupid" at myself watching the "you are dead" screen. I have no doubt that I'll be in top 100 and I find it quite possible to be in top 10 in a month. For example my old strategy for mid-game (from third circle to last 10) was to pick an easy to defend building and occupy it, killing anyone who wants to take it from me. The problem isn't that top players can take it from me by being able to throw grenades and by dealing headshots on the run. This could be solved by "git gud". The problem is that these buildings are already occupied when I get in and another players arrive to occupy it soon after. Why are we doing this? Because back in 1200-1600, this was a winning strategy. Idiots were running around killing each other or sitting under a tree with a sniper rifle wanting to score kills while smart players were safely sitting in these buildings. But the idiots are still at 1200 and we are all by ourselves now fighting for the buildings! The new strategy I'm working now for mid-game is a specialty of hiding in the bushes and in tiny buildings where no one looks and it seems to work. The crucial point is that the new strategy implies that there are no snipers in the woods and on top of tall buildings screening the bushes for easy kills, which is given in a 1800+ game, since such kill-hunters rarely get this high. If I'd try the same thing in 1200, I'd be dead in no time. In that ecosystem, the optimal move was taking the empty buildings. Not like anyone else wanted them, as being in a building is "no fun", the only reason anyone came there is to kill me. Want to hear something funny? I used to hide on the open sea where the circle was there in a boat. This way I was safe until the circle was all on land and even then I could surprise everyone as no one expects players from the shore. Today I had a game like that and four boats were on the sea, when 22 were alive. The next game I just drove to the shore to hide. I died before I could dismount my car due to several boats and campers on shore. Sea, the sure safety of low ranked games is a death trap on 2000+. You should use all the "dirty and unfun" strategies to get out of the lowbie-ghetto as fast as possible and then learn how the other good players play and defeat them. The reason why I'm now close to the very top is that I'm actively fighting my old habits that worked against morons. The other good players, no matter how skilled they are - unless do the same - will forever be hostages of the habits they got during "git gud" and when it stops working, they make the wrong conclusion of they have to get more good. But the solution to the "4 people want the same building" is not "be the best and kill all 3", but "avoid the damn building". Don't "git good", play to win! Do whatever improves your rating most. If it's lying by the haystack or hiding under the staircase while 3 others are fighting in the upper room, do that. By the way that's where most online / multiplayer game guide fail. They emphasis what should you do. Which works well for single player / non-changing game because if someone gets the optimal way to play it, anyone can copy it. But in a multiplayer game the emphasis should be why you should do something. Because if you learn the why you can adapt it if the game changes (and it will). But if you only now the "what" then you are doomed. So yeah, in multiplayer game guides thought patterns > factual strategy. I think the hardest decision in the game is when to leave a secure position. Unless you're incredibly lucky, at some point you are going to need to head towards circle. If you leave too late, you have the obvious problem of taking damage and possibly dying to the blue zone. If you leave too early, you'll be spotted by people that are waiting in a secure location and sniped. I was watching the streamers play this game and seen them get #1 a bunch of times. They do it by spending the first half of the game just looting and rarely engaging. Once the game is down to about 50-40 people the circle starts to become small. At this stage they usually get into the vehicle and stay on the edge of the circle as it shrinks, so that people they encounter usually only show up at their front.